But it looks like every single setback in the world can’t stop the Freddie Mercury biopic, because apparently he was just that awesome. According to Deadline, the project is still happening, and the producers have just hired The Theory Of Everything’s Anthony McCarten to write the script. Considering that movie won Eddie Redmayne an Academy Award for his starring role, it seems like the studio is hoping this project will also be able to grab some of the sweet Oscar gold. 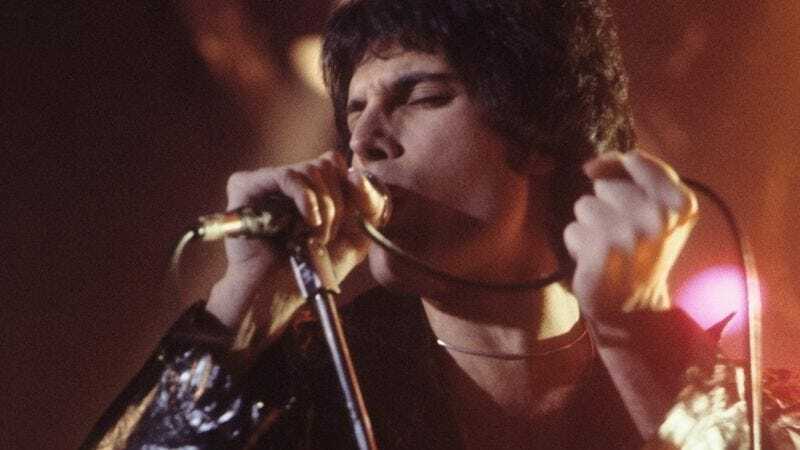 Deadline says the working title for the biopic is Bohemian Rhapsody, which feels a little too Walk The Line, but it’s probably a better choice than Fat Bottomed Girls, Bicycle Race, or Flash Gordon Theme. Also, Ben Whishaw is still the favorite to star, but it doesn’t sound like anything official is in place yet.